Here are a variety of collections or 'archives' of individual characters or popular artists. Not specific to any one publisher or theme but popular enough to warrant extra attention from fandom. We recommend all of them for excellent entertainment value. 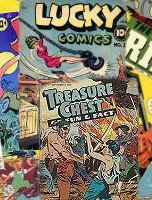 Also published comics under the names of Ajax, America's Best, American Feature Syndicate, Decker Publications, Excellent Publications, Farrell, Four Star, Kiddie Kapers, Red Top Comics and Steinway Comics. During the Second World War there was a foreign-exchange crisis which led to a ban being placed on the importation of U.S. comics. This period, which witnessed an explosion of English-Canadian comic book publishing, is now described as the Canadian Golden Age of Comics. Chesler (the "A" stood for "Anything") was a comic book packager and publisher. He operated a packaging studio more or less continuously from the mid-30s through 1953, and at times also operated as a publisher. In 1941 Chesler published with Dynamic Publications, Inc. From this point on, most of Chesler's comics would be branded with a logo proclaiming them the "World's Greatest Comics". In 1941-1942, this also identified each issue as "A Dynamic Publication". After just over half a year, Dynamic ceased publishing, he continued producing a few books through surrogates. The surrogate activity picks up dramatically in 1944, leading into Chesler's third major wave of publishing. In place of "A Dynamic Publication" these had "Harry "A" Chesler, Jr.". Junior, however, was the son of Chesler the publisher, a point of much confusion for latter-day comics researchers. This period lasted through 1946, after which the ongoing titles were continued in Canada by Superior Publishers through early 1948. Chesler continued to run his art shop, but no longer published his own comics after 1946. In 1903, Cupples & Leon collected such strips as The Katzenjammer Kids. Alphonse and Gaston, Happy Hooligan, On and Off the Ark, Poor Lil Mose and The Tigers. 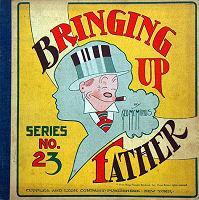 Their major competitor in books of comic strip reprints was Frederick A. Stokes, who died in 1939. To reprint comic strips, the company offered, for 25 cents, a square-bound paperback format of 52 pages of black-and-white strips between flexible cardboard covers. Between 1906 and 1934, Cupples & Leon published more than 100 titles in that format. They collected Bringing Up Father, Little Orphan Annie, Reg'lar Fellers, Smitty, Tillie the Toiler and other leading strips of the 1920s and 1930s. 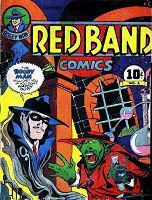 They left the comic strip reprint field in 1934, concentrating on their juvenile lines, just as the modern day comic book was introduced that same year with Famous Funnies. Victor Cupples died in Mount Vernon, New York in July 1941. Arthur Leon, who lived in New Rochelle, New York, died in December 1943, and his wife, Louise Heroy Leon, died five years later in February 1948. The Platt and Munk publishing firm acquired Cupples & Leon in 1956. Dell Publishing Co., Inc. 1936-1973 NOTE- due to DCM's rule of Not sharing books post Dec 1959 several Dell titles are incomplete on DCM. Dell was founded in 1921 and first published comics with 1929's "The Funnies", which looked like a newspaper insert but was distributed on newsstands. Eastern Color Printing Company was involved with several of Dell's earliest comic book ventures, although the exact nature of each partnership is not always clear. The company's comic book division folded in 1973, although Dell continued to publish the occasional book with comics content, including newspaper strip collections. Dell became part of Bantam Doubleday Dell in 1988, ceasing to exist as an independent company. -"The American Comic Book: The Evolutionary Era, 1884-1939" by Denis Gifford. USA government publications are in the Public Domain and therefore can be shared here. We do reserve the right to limit uploads to this section when needed. Imprints - Et-Es-Go Mags, Continental Magazines, HELNIT Publishing Co. and TEM Publishing Co.
CLICK ON THE DOWNLOAD LINKS TO GET TO THE REAL DOWNLOADS - IGNORE ANY "0 Bytes" MESSAGES. collects the various publishing outfits associated with Stanley P. Morse. Address:175 Fifth Avenue NY, NY. 1955: 261 Fifth Avenue NY, NY. A home for foreign reprints of known US comic titles. Please do not upload anything printed after 1959 or that contains known non-PD material in these countries. A variety of strips our members think others might enjoy. Various scans that don't fit into a convenient category. A home for orphaned or 'Grossly Mistreated' (GM) scans. They are small and watermarked. We frankly don't like them but for some they are the only scans available. These are best thought of as placeholders until hopefully a better scan can be uploaded. Anyone that owns one of these books PLEASE consider scanning and sharing a better scan! If you have a GM scan of a book ALREADY on the site please don't upload it. If you have a GM scan of something NOT on the site or that ours is incomplete or fiche, please DO upload it to this folder. Sub-par non GM scans we hope will someday be replaced will also be hosted in this folder.